Having inspired, first step the youth took was to form a committee to straighten up the traditional functioning of the temple. With the pulsating vigor of the youth, they gathered volunteer donations from the natives and conducted annual customary festivals of the temple. Next, they steered to entire renovation of the temple. To accomplish the whole renovation program is not a Herculean effort but it requires enormous funds. A very devoted group of Purakkad's younger generation, refraining from the destructive elements of cast, color or creed, united to strive for its successful achievement. The renovation of this temple will not only revive the spiritual strength in every devotee but also bring visible change to their problems whatsoever soon after participating in this divine cause. It can be realized in very near future with the Devi's boundless blessings, all the participants lead peaceful and prosperous life and their legitimate wishes and goals fulfilled. This fact has been emphasized in the Devaprasnam that the Abheeshta Varadayinee Devi's Chaithanyam is abundant and like an affectionate Mom, in a very pleased state to bless, all those seek Her shelter. The devotees and believers can sponsor the expense of any of the Parihara Kriya, Ashtabandha kalasa kriaya and the daily Bhagavatha Sapthaha Yajnam. 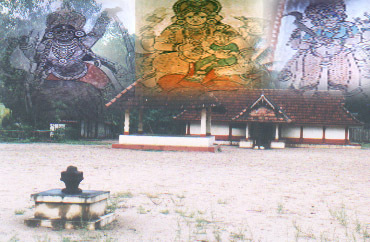 Those who donate for this purpose shall furnish their Name, Nakshathra, Address and if the Nakshatra is not known their date of birth for inclusion of their Names in the respective poojas and archanas to establish their participation and future well being and blessings from Murukkuvelil Sree Bhadra Devi. Vazhipadu Prasadam to all sponsors and donors will be sent in separate pouches.